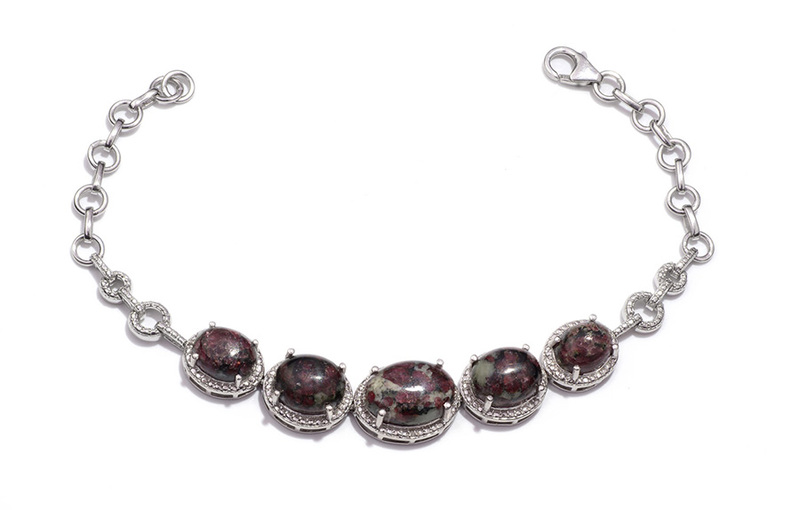 Rainforest jasper is an exquisite gemstone known for its beautiful multicolor patterns. Its mixtures of green gray red black and white hues create a stunning marbling found in no other stone. Rainforest jasper owes its beauty to its unique swirls of greens grays reds blacks and whites that come together in pleasing shapes within each unique piece. This gorgeous gemstone shows off lush hues of sage and emerald green often splashed with neutral shades of brown or black. It can also contain a beautiful marbling of rust yellow and cream. No two stones are the same. 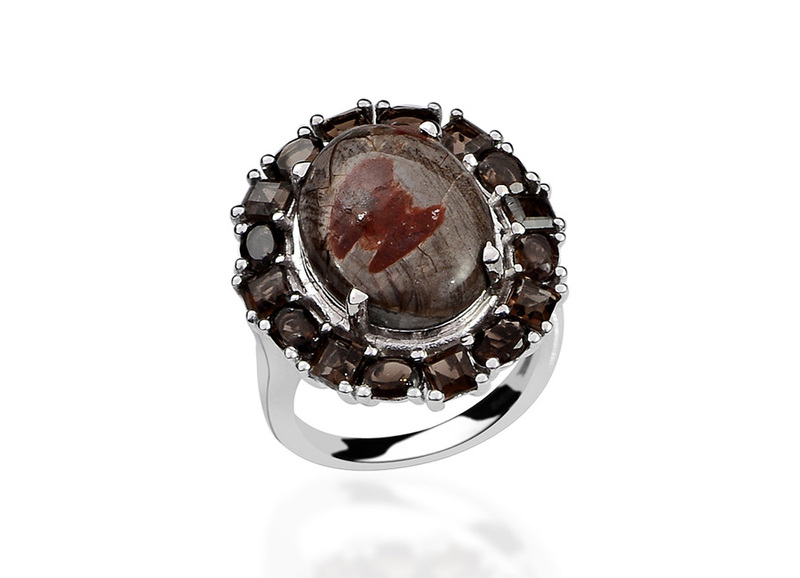 Jasper is one of the many gemstones that belong to the quartz family. It is an opaque and impure variety of silicon dioxide. The name 'jasper' comes from the Greek word for 'spotted stone ' which refers to the stone's multicolored striped spotted or flamed appearance. Jasper is a dense substance which can be made of up to 20 percent of foreign materials. Because of these impurities jasper is rarely uniformly formed. Rainforest jasper also known as rhyolite jasper is an igneous volcanic rock that can appear in many different ways depending on how it erupts from the volcano. Explosive eruptions create pumice which is full of bubbles. Slower eruptions create a bubble-free black rock also used as a semi-precious gemstone. Rainforest jasper can look very different depending on how it erupts. It has a composition similar to granite but has a smaller grain size; it is composed of the light-colored silicates and is usually beige to pink in color. Rainforest jasper's beautiful blend of colors creates unique patterns in the stone which are said to spark creativity in individuals. Each stone is one-of-a-kind wonder. • Ancient civilizations believed that the cosmos was reflected in gemstones. Jasper was assigned to the planets Mars and Pluto. 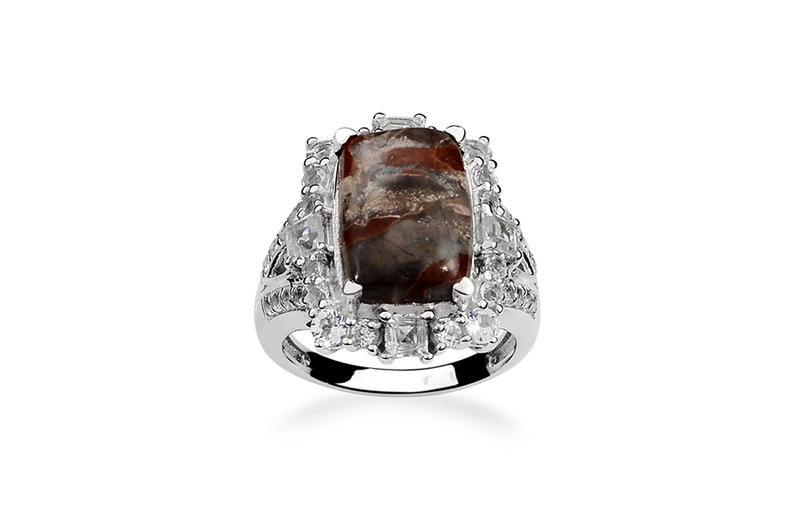 Jasper is linked to the Zodiac Earth sign of Virgo. • According to the Bible jasper was a gift from God and would be the first foundation stone of the New Jerusalem. • Jasper is ideal for balancing energies associated with the base or root chakra. Rainforest jasper is said to bring balance to masculine and feminine energies. 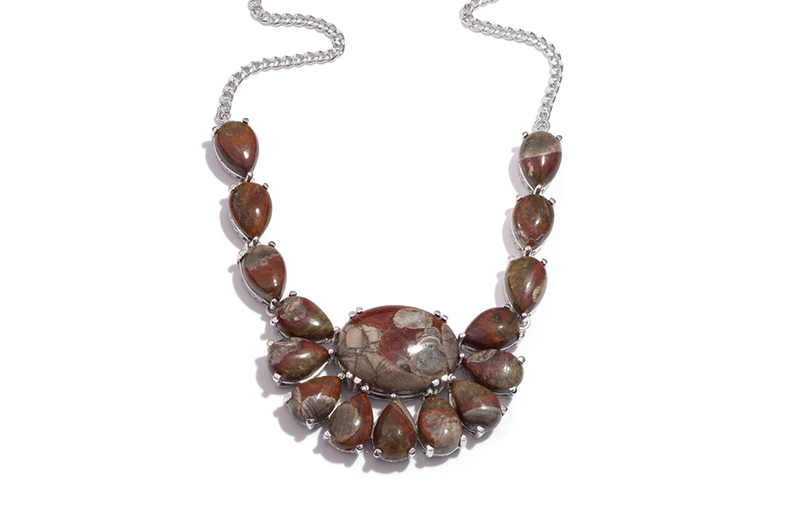 • Jasper is considered to be the 'supreme nurturer' stone. It helps its wearer through tough times and brings tranquility and feelings of well-being. It is believed to unite all aspects of one's life. • This Earth stone makes a wonderful connection to Earth and all its inhabitants - plant mineral and animal. • It brings awareness and joy for the natural state of things such as your own body emotional balance interaction with other living people and organisms. • Rainforest jasper can be used to invigorate or renew your emotional state. It brings hope and positive energy to alleviate depression or lethargy. • Crystal healers rely on Rainforest jasper to cleanse the liver and aid in regeneration and general healing. Jasper gemstones can be found in many locations throughout the world. Some of the most notable deposits are sourced from Australia Brazil Canada Egypt India Indonesia Kazakhstan Madagascar Mexico Russia Uruguay Venezuela and the United States. 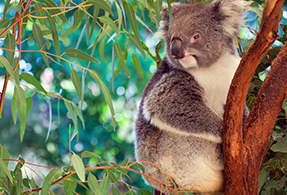 Shop LC sources this stone from Australia which produces some of the best quality Rainforest jasper. Ranks 7.0 on the Mohs hardness scale. Colors show an opaque swirl of greens grays reds blacks and whites with a vitreous luster. A member of the quartz family. Also known as rainforest rhyolite.